Paraty Brazil - What Are The 5 Reasons You Should Visit? Paraty Brazil has long been considered one of Brazil's historical, hidden gems that has become extremely appealing for tourists to visit. Located just 125 miles from Rio de Janiero it is in the perfect location for locals and tourists to spend time relaxing. Whether you want to soak up the sun along the golden coast, or explore the quaint, historical town there is plenty to see and do. Stunning Beaches- There are over 44 beaches in Paraty Brazil to enjoy, and many of them offer different activities and water sports. The bay is an immensely popular destination for both locals and tourists to explore. The beaches are more natural and wild in this area; however, they are fascinating to explore. The waters are clear providing the perfect environment for scuba diving to explore under the water. Historical Town- The colonial center is fascinating and offers a huge array of different historical buildings and landmarks to explore. With the amazing centuries old buildings, which line the streets and the quaint cobble stones you will be taken back in time. The Old Town is stunning, and with the lack of all automobiles, you will be able to wander in peace. The streets and buildings have been beautifully preserved creating a majestic feeling. Vibrant and Lively Atmosphere- It is also a vibrant place that attracts party goers from all over Brazil ensuring that the streets are brimming with people enjoying themselves. The town has become very cosmopolitan attracting the young and beautiful to the party venues. During the day, the old town is peaceful and quaint, however, as the sun goes down the party atmosphere kicks in and everyone comes out. Touring the Area- If you are unsure where to begin, and want to guarantee that you see everything there is to offer you may want to join one of the tours. These will often include a mix of horseback riding, cycling and diving. 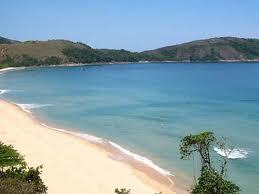 All of the tours are excellent and will allow you to see the areas of Paraty Brazil, which you may have missed. The tours are fantastic value for money, and you will have a local guide to ensure that you see the best landmarks and sights in the area. Stunning landmarks- Like many towns and cities in Brazil, there are a huge number of fascinating landmarks to explore. Even if you are typically a beach person, you will be amazed how interesting you find all of the different places to see. The churches are beautiful and represent the traditional and religious side of the country. You will need to allow adequate time to explore the whole town as there is so much to see. You will find that you keep stopping to stare and admire the fascinating landmarks on offer. 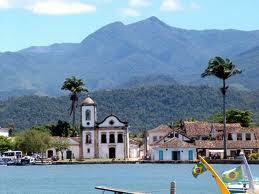 No matter why you have traveled to Paraty, you will have a great time exploring everything on offer. Whether you want to spend long, lazy day on the golden sands, or party the night away there is something for everyone. You will leave this incredible area feeling refreshed and full of life.